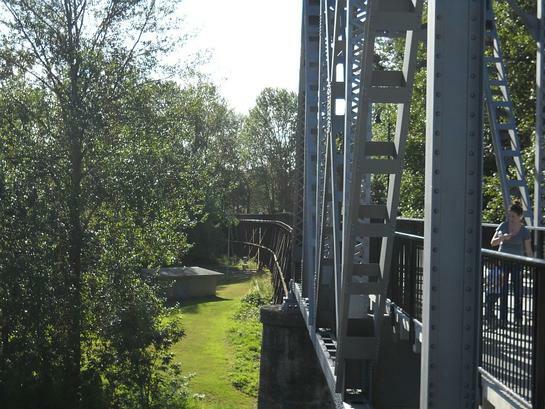 West side has extended wooden trestle section that curves south and is also part of the walkway. 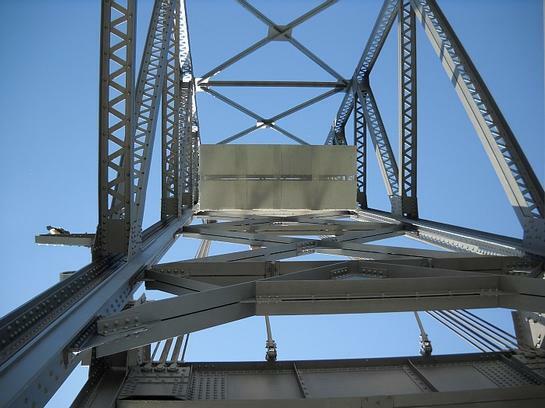 Concrete counter weights to raise the draw span. 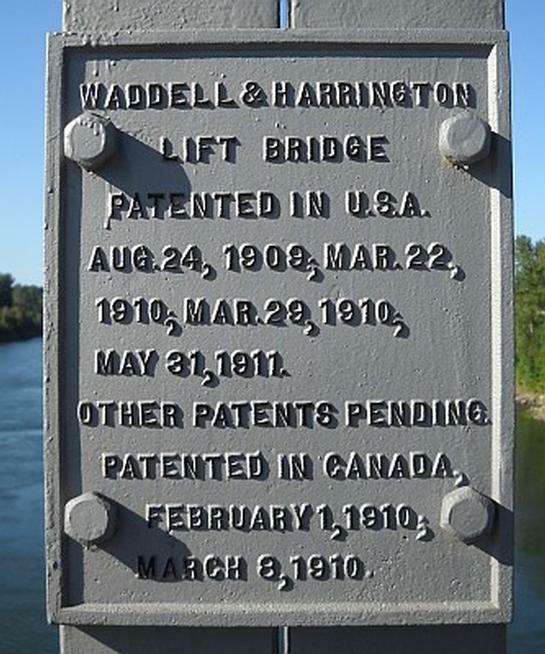 Bridge builder's plaque on bridge. 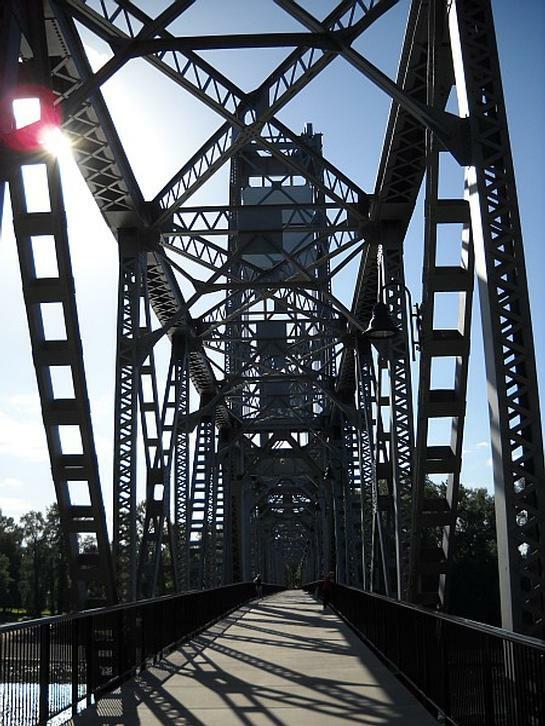 A view of the draw span from the east side. 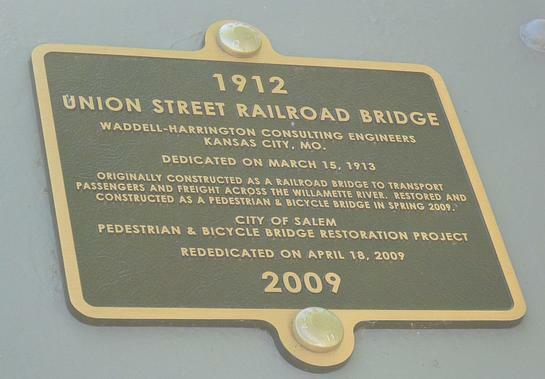 Plaque dedicating the bridge in 2009.